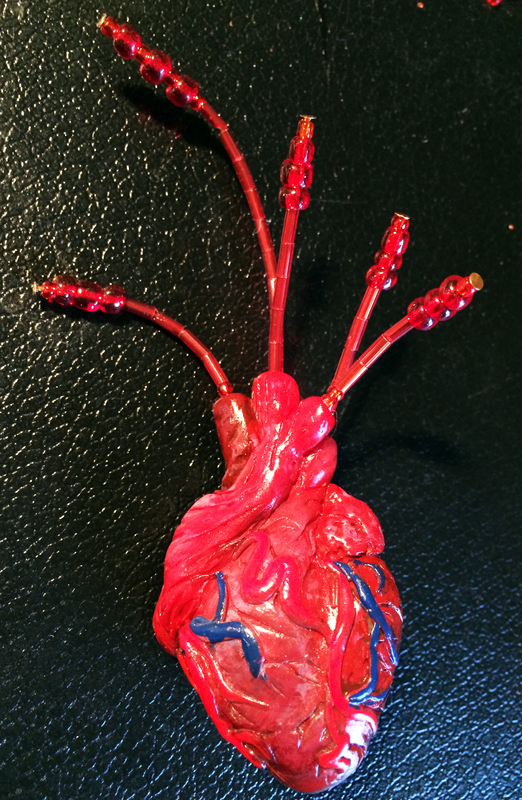 My Bloody Valentine, Part Deux: the Pin. 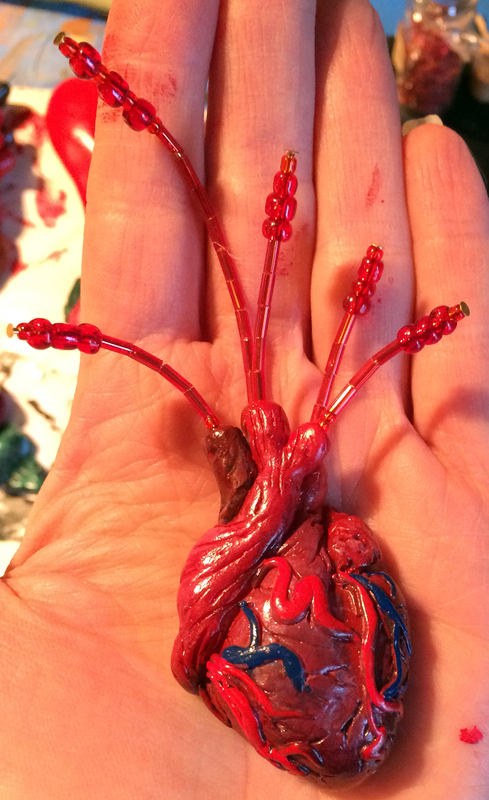 In yesterday’s blog you saw the delightfully creepy Frida Khalo-esque Heart & Roses Necklace I made. In today’s post is the matching pin I made for my man. The spurting “blood” beads were actually his idea. 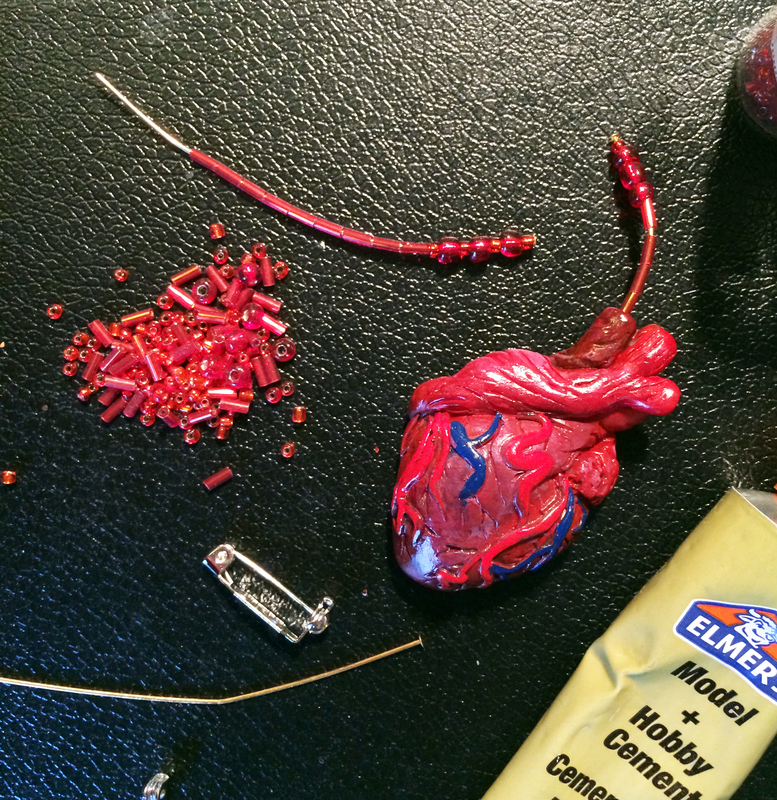 I will not bore you by describing again how I made the polymer clay heart, as this one is exactly the same as the necklace just smaller (Get all the details HERE). This time I added the red beads at the top and a pin to the back. 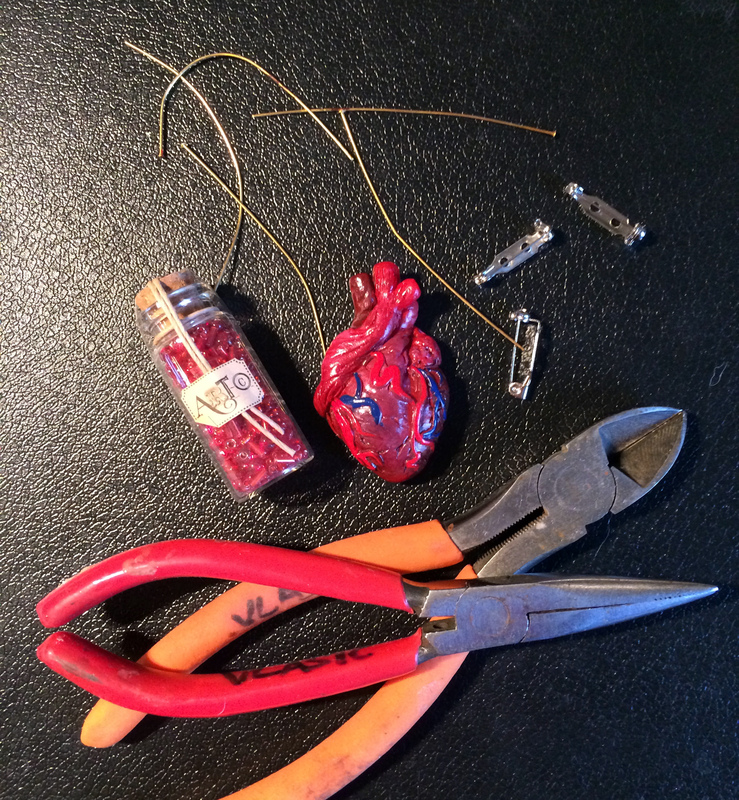 Remember to be gentle with your polymer clay jewelry. It is fragile. I hope you are creating something wonderful this weekend! This entry was posted in art, DIY, Jewelry and tagged clay valentine pin, creepy jewelry, creepy necklace, DIY, diy jewelry, diy necklace, diy pin, diy polymer clay pin, diy sculpy pin, diy valentine jewelry, Frida Khalo, Frida Khalo inspired, frida khalo jewelry, goth jewelry, goth necklace, goth pin, heart, heart Jewelry, heart pin, hearts roses, hearts roses necklace, human heart jewelry, human heart pin, human heart sculpture, necklace, polymer clay, sculpy, sculpy jewelry, super sculpy, valentine jewelry, valentine pin. Bookmark the permalink.